Edwin and Terry Scott established Piedmont Portables about 24 years ago. Dwight Chandler, COO of The TES Group, parent company of Piedmont Portables, explains that the Scotts didn’t start the business as a sanitation company. 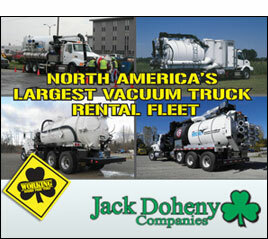 They began the business as a special events equipment company that also offered sanitation facilities. The couple launched operations with just one truck and a few portable toilet units. They started doing construction sites and special events, and over time grew the company into the great regional success that it is today, offering a comprehensive range of rental equipment for events, construction and commercial needs. Today, the Piedmont Triad North Carolina company operates as the portable restroom rental services division of its umbrella company, The TES Group, owned by the Scotts. The TES Group also owns and operates its event equipment services company, TCS Event Rentals. Dwight Chandler shares the company’s history of growth. After a few years, Edwin and Terry got a small three- stall restroom unit, then got one with eight or ten stalls. Now we have 20+ multi-stall units, and provides services for customers throughout North and South Carolina and Virginia. We service a lot of university activities, military work, festivals and other major events, and we have in excess of 1,000 portable toilets. Our routes are currently servicing in excess of 900 units, some of which are serviced two to three times per week. We have five routes that we run every day, with the majority being construction and commercial stops throughout the Piedmont Triad to the Triangle market, which includes Raleigh and Durham. In addition to route drivers, we have dedicated personnel who work here at our facility: cleaning, repairing and prepping units; other full-time staff members who make deliveries and pickups; sales and operations management; and customer services, routing and inside sales staff. The event services division, TCS, focuses on large events, and its inventory includes about 115,000 chairs, and a commensurate number of tables, and staging, tenting, and crowd control equipment. The company even provides temporary flooring, backdrops, portable heating and cooling, custom on-site built bleachers and mobile bleacher units, plus linens and other accessories, for a comprehensive, one-stop shop in event equipment. 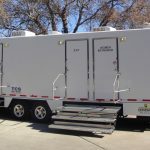 Along with Piedmont Portable’s basic construction toilet units and its special event units, the company provides its ADA compliant standard toilet units as well as ADA comfort units. It also provides hand washing and hand sanitizing units. Chandler goes on to explain the evolution of the company into a highly diversified array of event services and portable restroom revenue channels. Over the company’s 30 years in the special events industry, Edwin and Terry became more and more involved in the sanitation end of it. Today, they provide onsite attendance by a team of employees, when the crowd sizes at events require it. Our staff stays onsite for the duration of the event, whether it’s in Charlotte, Atlanta, upstate Virginia, or anywhere in the region. TCS Event Rentals and Piedmont Portables currently have a combined total of over 40 employees. A sister company, FirstSource Equipment Rentals, also owned by the Scotts, provides generators, light towers, track hoes, concrete working equipment and other construction equipment. That company operates as a self-contained entity under its own management. The TES Group operations are headquartered on a twelve acre complex, with over 70,000 square feet of warehouse facilities. Dwight explains the company’s mode of operating. Edwin and Terry run a top quality operation, very clean and very efficient, with everything maintained at the absolutely highest quality possible. During winter months, comfort stations and other equipment are brought inside and prepped and polished to ensure ideal functional condition and immaculate appearance for the next season. Dwight has worked with the Scotts since 1985. He reflects on their long professional relationship. I had my own marketing and advertising firm for over 35 years, and Edwin and Terry’s companies were clients of mine. You might say our companies grew up together, and we eventually discussed working together. So, I joined The TES Group, to help with marketing and sales, and I now help run the company. Dwight goes on to discuss future plans for the business. Piedmont has had the good fortune to have good customers who have stuck with the company through the years. There has been very little turnover of clients. Once they become clients, they tend to stay clients. That’s because of the number of good people on our team, from top to bottom. Beth Thomas is our CFO, and she has been with the company for over 17 years. We are proud to have high-quality people at every level of the company. They’re the ones who make it happen on a daily basis. They are our route drivers, pumper truck drivers, maintenance technicians in our warehouse, sales staff, special event installation crews, and our management team. From late April to mid–June every year are long days, with many university and college commencement ceremonies, major events, and large weddings. Everybody is working at a constantly high rate of motion. It’s all hands on deck, seven days a week. We just hired a Director of Sales and Operations for Piedmont Portables—an excellent professional with impressive experience in the industry. He started in January, and we are excited to have him on board. He will be a great asset, enabling us to meet our growth plan. We set forth some new policies and procedures that went into effect last year, as well as our three-year and five-year growth plans, which are also in action right now. We’re looking toward 10-15 percent growth per year over the coming years. As part of that plan, we’re in the process of acquiring a smaller portable toilet company. We also expect to continue growing organically and reaching out to corporate builders and prospective commercial clients. We have a solid niche in our market. We are big enough to do small and large events. We partner with a large tent company for large events, and we bring on a lot of temporary helpers during school commencement season. We work with a local logistics company that provides tractors and drivers to transport our trailers loaded with chairs, tables, barricades and fencing and other equipment, as needed during the busiest seasons. Dwight explains that the companies have started to do more marketing, advertising in specialty publications and utilizing direct mailings, to help make more people aware of what they offer. But, as he notes, the business has largely grown through word of mouth. Dwight explains, one university professional or special events planner talks to another, and we get a lot of referral business that way. Several magazine articles have also featured the story of the company’s growth, which he notes has also provided some good exposure for the business. Everything related to service and appearance is very consistent. All of our trucks have the same signage for both divisions, including new tanks on pumper trucks we’ve added over the past couple of years. Everything is polished and impeccably clean, with trucks are washed daily or weekly. Our essential branding approach is to keep everything clean and simple, with small logos on white backgrounds on most everything we offer—clean and simple and straightforward. That’s our brand. The branding discussion leads us to the question of quality management at Piedmont. Dwight shares an example of Piedmont’s quality management success. A client came in recently and commented on how impressed they were with the cleanliness of our operations and the way everything is maintained and organized. Edwin and Terry set that tone from day one. When you come in to the offices, it looks like any well-run corporate office. Everything is top-of-the-line. Edwin and Terry don’t spare any expense when it comes to quality operations at every level. They invest in quality equipment and quality people, and that’s what the customer receives. Customers appreciate how flexible we are with last-minute requests for changes, and they can’t say enough about our service and the quality of our rental products. It’s important to have their feedback. As part of our quality management process, regular quality checks are performed behind the drivers, to make sure that quality service is being delivered. That system also allows us to make sure the customer is working with our driver, and it addresses any issues the customer may have. This approach to quality control has proven very beneficial to our customers and our drivers. Dwight suggests that any company in the industry implement such a program, as a method of reaching out to the customer and trying to engage them, and to obtaining essential feedback to help in improving services. All of Piedmont’s trucks have GPS, which provides valuable information for quality control. It confirms times and lengths of service provided, and it shows details such as which driver was onsite and where vehicles are located at any given point in time. Note: All chemicals used by Piedmont Portables in the portable toilet units are completely biodegradable and non-formaldehyde. One challenge that Dwight mentions is low-priced competitors. There are companies who try to low-ball pricing to get market share. Of course, the only way they can do that is to provide customers with low quality service, which is not good for the industry. Most customers these days understand that they can’t get a very low price and high quality of service. Cheap pricing normally results in cheap service. We don’t try to be the cheapest. We’ve built our reputation on our high quality. One major development that could affect our company is the same thing that can affect every other kind of company in the industries we serve—an economic downturn in housing or other construction. That affects the portable toilet market. In 2008 and ‘09, we were affected, but nobody had to get laid off. The economy eventually recovered, and we moved on. If you run a pretty tight organization, you can withstand economic challenges in our industry, as long as they’re not too extreme. On behalf of Piedmont, Dwight Chandler offers advice for new entrants into the portable restroom market. If someone wants to get into the business, I suggest investing in good equipment and good people. If you do that, you can be successful. If you try to get in on the cheap, it won’t last. Employees won’t take their jobs seriously, and that will hurt your image and your business’s potential. Support your team, give them what they need in order to do their jobs well, and focus on strong customer service. Dwight adds a broader observation of the portable restroom market. Many people look at this industry as an unclean type of business that they don’t want to deal with, but the service has to be provided onsite, as required by law. What sets Piedmont Portables apart from that image is that our route and pumper truck drivers come in at night looking like they do when they leave in the morning to start work. They’re professionals who stick to the system, so everything works smoothly and stays clean, and that gives customers confidence in the company and our services. 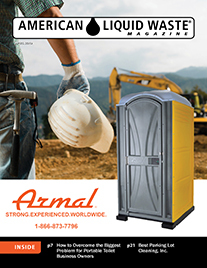 Talking with portable restroom services business owners throughout the United States, we recognize deep commitment to quality as an operational principle shared by all of the industry’s successful entrepreneurs. 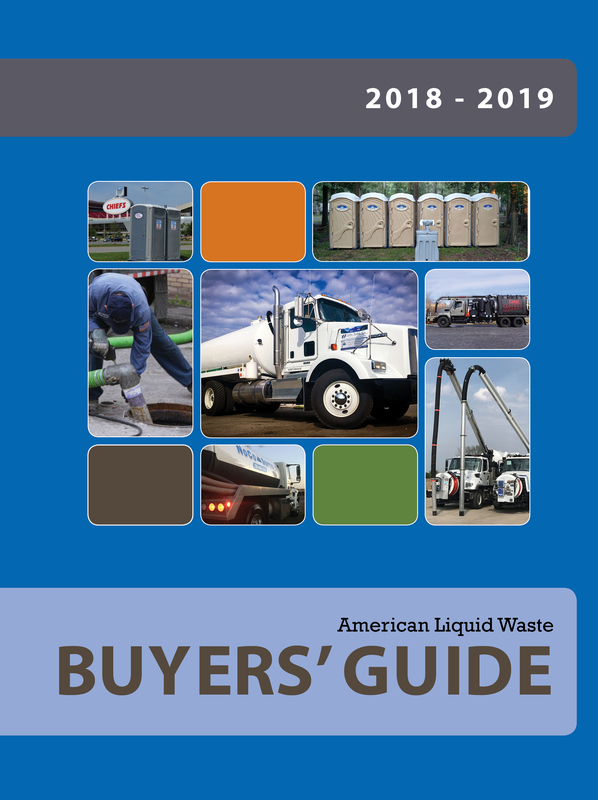 The long-time portable toilet service business owners understand very well the connection between that dedication and the long-term sustainability of their enterprises. But, we do notice something unique in the degree of top-to-bottom, inside-out quality commitment of Piedmont’s ownership team, as iterated by Dwight Chandler, COO. The depth of self-discipline in adherence to quality in every facet of hiring, purchasing, service delivery, quality control, facilities and equipment maintenance, cleaning, management team investment stands out for us. The Tes organization, including its Piedmont and TCS divisions, appears to operate at its own uniquely elevated level of performance pride. That way of doing business has provided us with an especially exciting opportunity to discover an example of what it is to be an exceptional portable restroom business operation with an entire team of top industry talent.